This cereal is basically good old Frosted Flakes with sweet granola clusters of varying size. 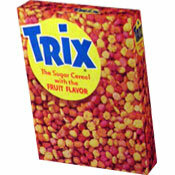 The texture of the cereal is fun. 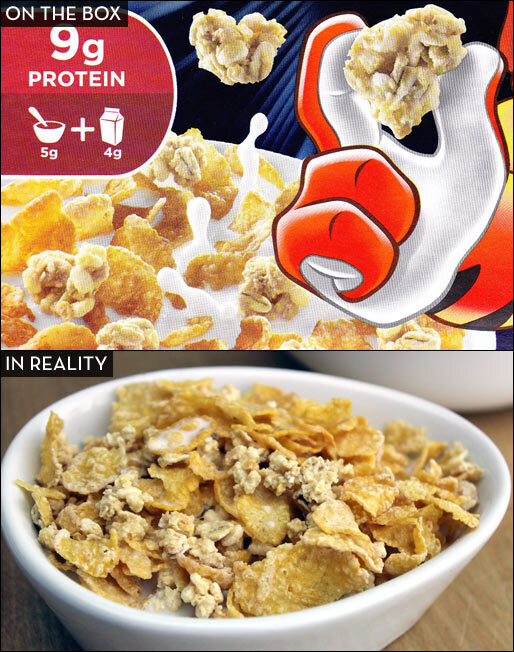 As you start a bowl, you get two different kinds of crunch from the flakes and the clusters. As the flakes soften in milk, the clusters remain fairly crunchy giving this cereal a multidimensional texture experience. This cereal is exceedingly sweet. You'd expect that from the Frosted Flakes flakes, but it's a bit of a shocker in the clusters. If you chew the cluster pieces on their own, they feel like they're breaking down to pure sugar in your mouth. This cereal would have been so much more interesting if the clusters gave a contrast to the sweet flakes instead of compounding the sweetness. The worst part about this cereal is that it tastes a little musty... as if the sugar they used had been in the pantry for several years and started to taste a little off. I won't buy this again. For a better experience, mix original Frosted Flakes with a quality granola. 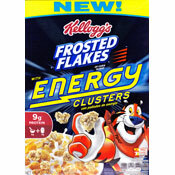 What do you think of Frosted Flakes w/ Energy Clusters?